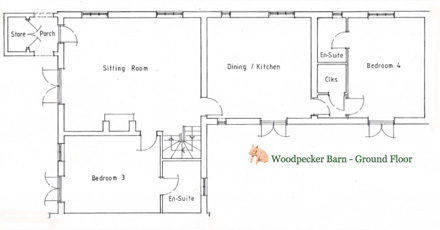 Woodpecker barn consists of two large bedrooms downstairs. 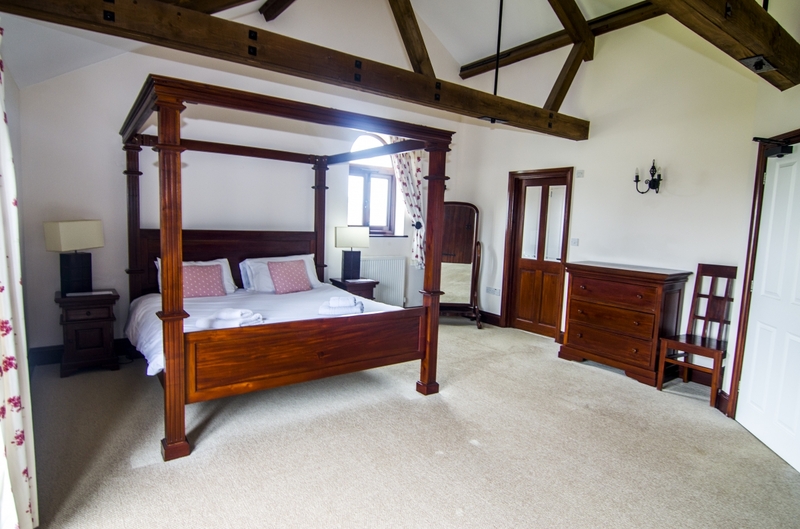 The first has a zip and link option bed with and en-suite shower/bathroom and double doors opening onto the walled garden. 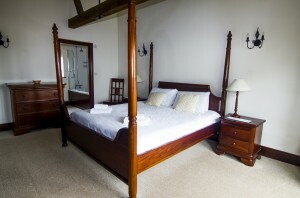 The second bedroom has the zip and link bed option again with a wet room. 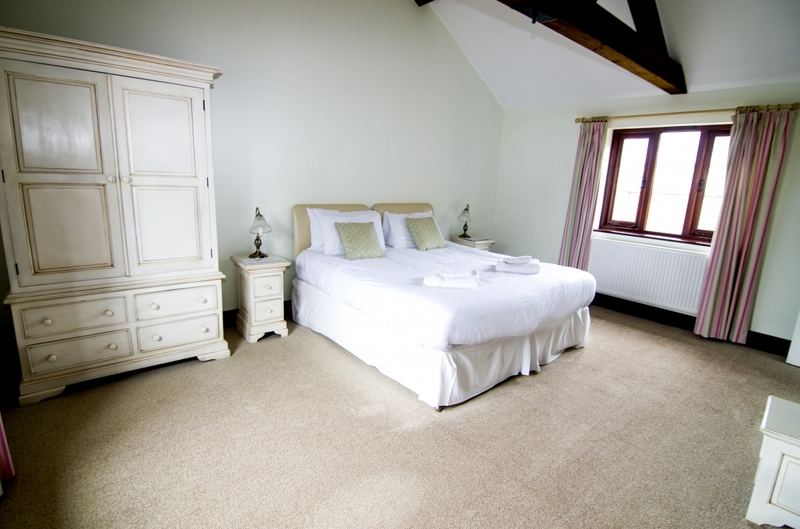 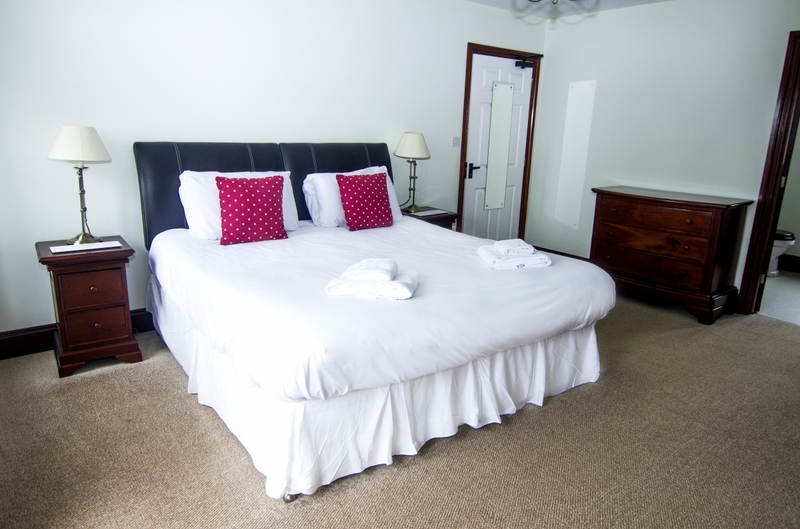 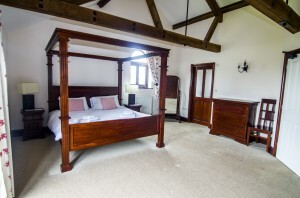 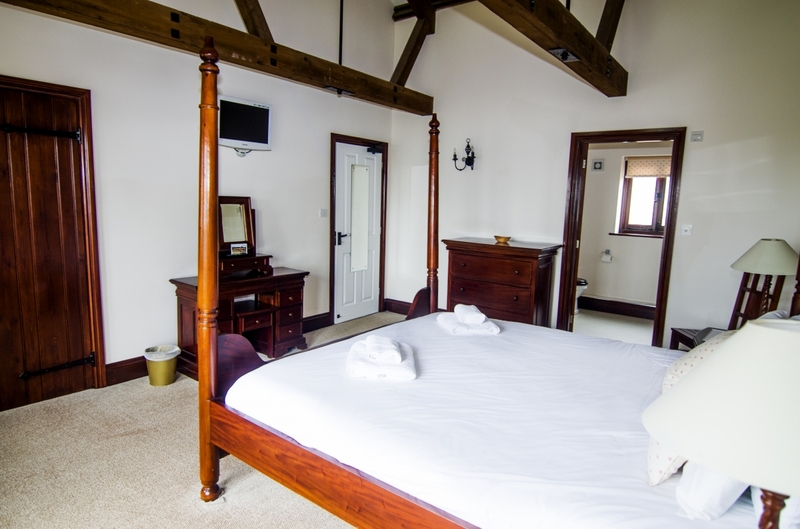 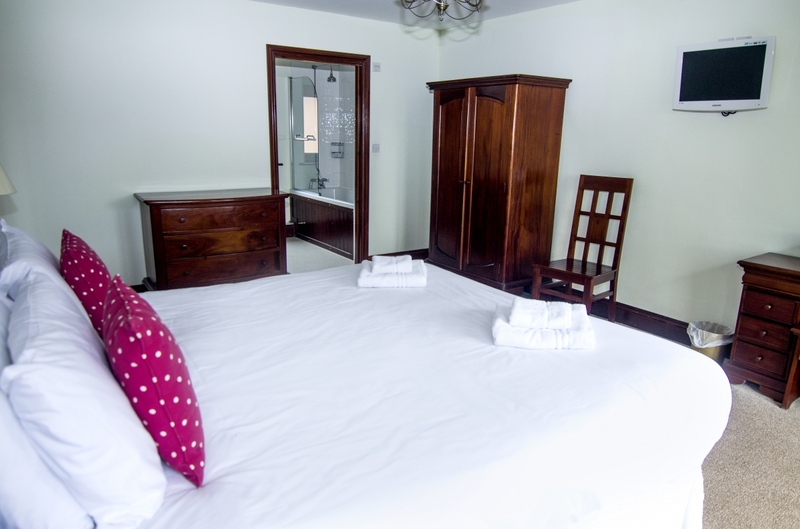 Upstairs you will find another two large bedrooms both of which have four poster beds with en-suite bath/shower rooms and the lovely Juliette balconies. 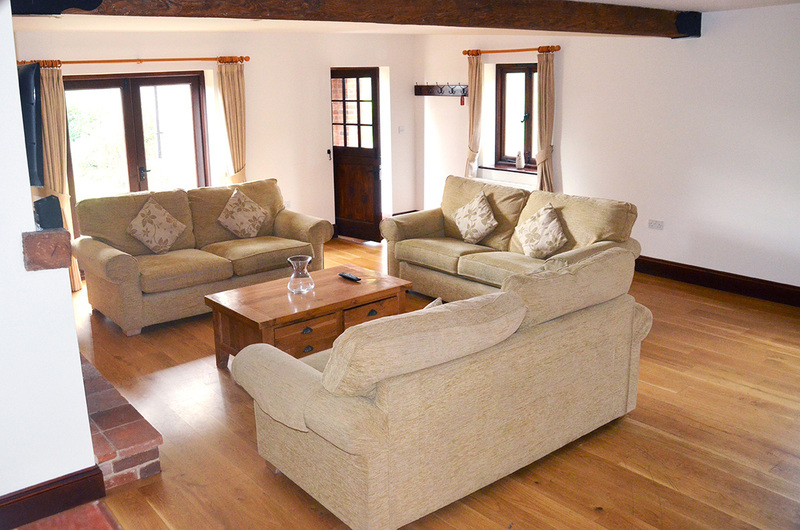 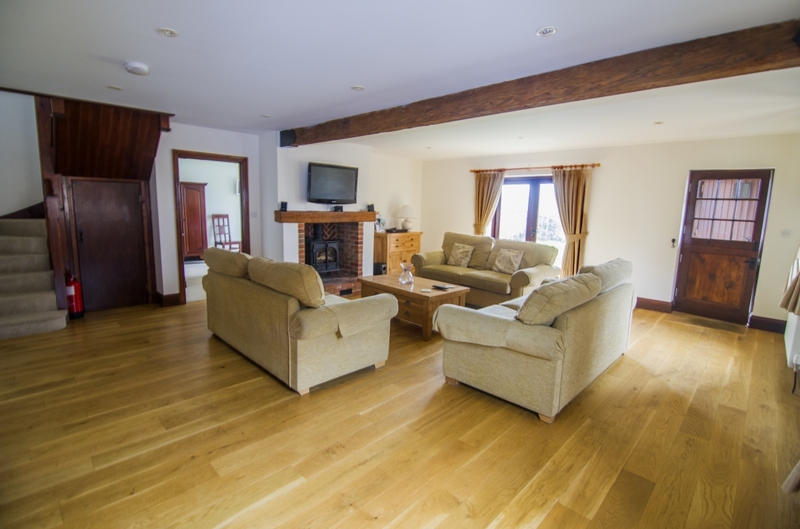 Entering this barn, you are welcomed to a lovely spacious living area with a flat screen television, oak floor, wood burner and large comfortable sofas. This room is a separate room from the kitchen, it has the stairs to the the first floor and double doors that open onto the walled garden. 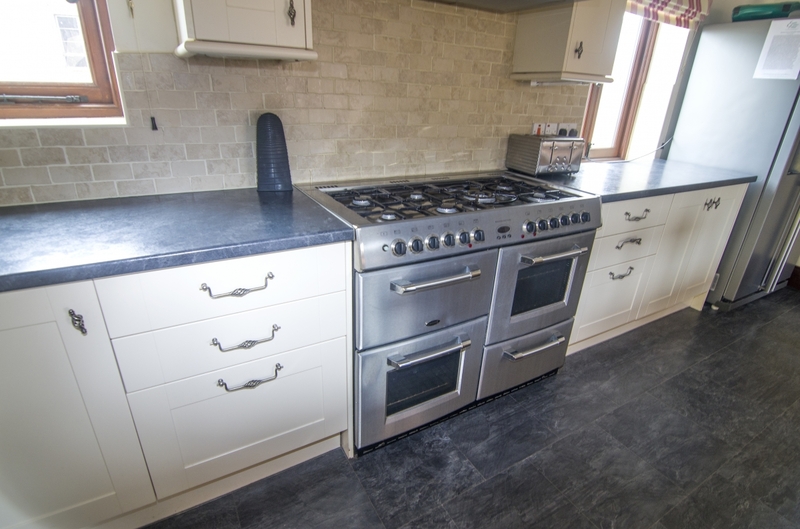 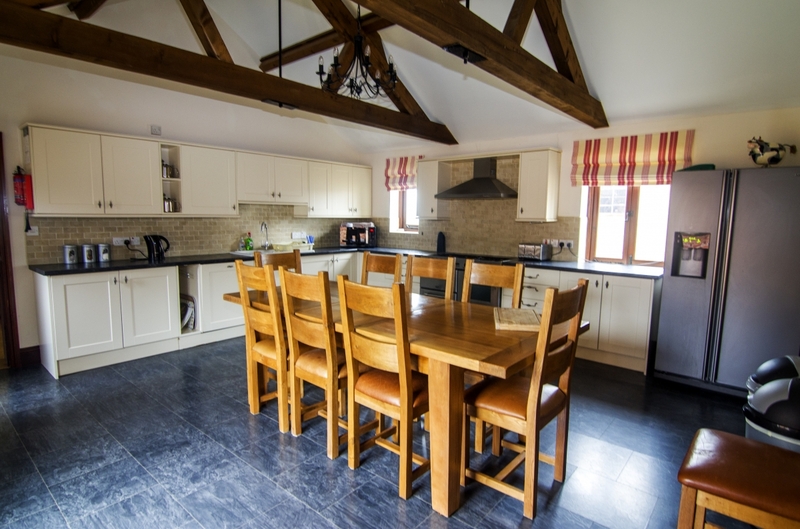 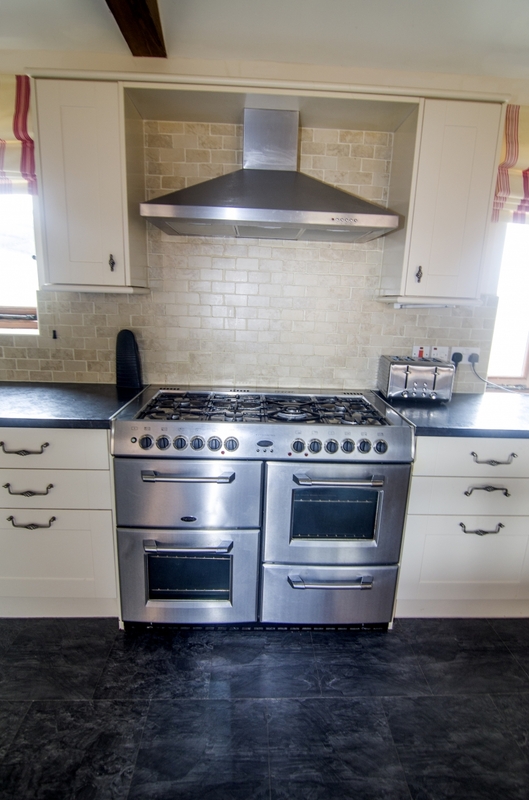 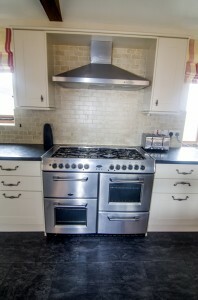 The kitchen is very spacious and well equipped, it has a range cooker, tiled flooring and a solid oak table. 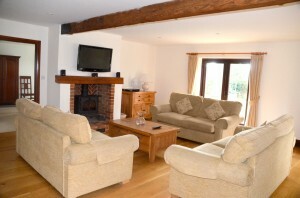 It also has doors out to a small enclosed courtyard. Woodpecker has its own private, walled and secure lawned garden with a built in barbecue, ample parking is available.